This is a portrait painted in broad strokes and fine details. We see how Roosevelt’s restless energy, fierce intellect, personal magnetism, and ability to project effortless grace permitted him to master countless challenges throughout his life. Smith recounts FDR’s battles with polio and physical disability, and how these experiences helped forge the resolve that FDR used to surmount the economic turmoil of the Great Depression and the wartime threat of totalitarianism. Here also is FDR’s private life depicted with unprecedented candor and nuance, with close attention paid to the four women who molded his personality and helped to inform his worldview: His mother, Sara Delano Roosevelt, formidable yet ever supportive and tender; his wife, Eleanor, whose counsel and affection were instrumental to FDR’s public and individual achievements; Lucy Mercer, the great romantic love of FDR’s life; and Missy LeHand, FDR’s longtime secretary, companion, and confidante, whose adoration of her boss was practically limitless. 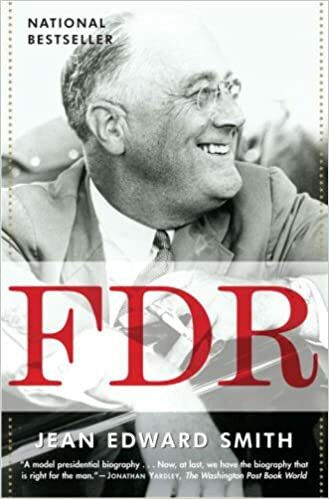 Smith also tackles head-on and in-depth the numerous failures and miscues of Roosevelt’s public career, including his disastrous attempt to reconstruct the Judiciary; the shameful internment of Japanese-Americans; and Roosevelt’s occasionally self-defeating Executive overreach. Additionally, Smith offers a sensitive and balanced assessment of Roosevelt’s response to the Holocaust, noting its breakthroughs and shortcomings. injured by the governmental action complained of. An individual taxpayer’s injury is “so remote, fluctuating and uncertain, that no basis is afforded for an appeal to the preventive powers of a court of equity.” Sutherland said that if every taxpayer could bring suit, every government policy would be challenged in the courts and the Supreme Court would become the ultimate arbiter of all government policy: “an authority which plainly we do not possess.” (Cf. Flast v. Cohen, 392 U.S. 83 (1968)).